By LUDWIG VON KOOPA - The ad has low ratings, and isn't memorable versus other ads and the actual game. 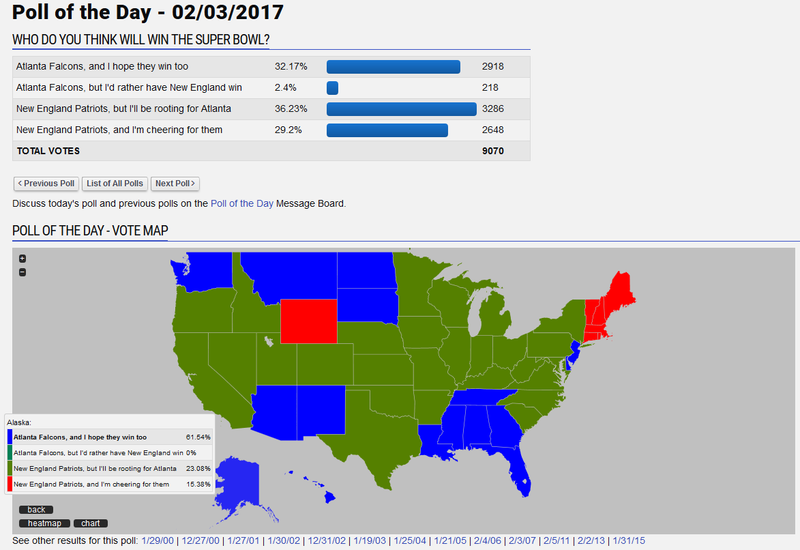 Let's get this out of the way: All of the people on KoopaTV's staff who refer to the sport as just “football” (as opposed to “American football”) wanted the Atlanta Falcons to win last night's Super Bowl, Super Bowl LI (51). (It's football of the Madden NFL variety rather than the FIFA variety.) I'll write more about general sports-stuff later in the article, because sports and KoopaTV don't normally mix so that can hide at the bottom. However, this time, it's worth talking about because of Nintendo's Super Bowl appearance. There is also an extended cut three times as long located here, which features women winning every time they're paired up against men. ...It's just something that stuck out to me. Anyway, just because it's longer doesn't make it better, so let's talk about what tens of millions of people actually saw on television. I, for one, automatically had a stupidly silly grin on my face when I heard the Nintendo Switch SNAP on television. (Yeah, I was watching some of the Super Bowl, too.) It was my biggest smile of the whole weekend. Anyway, what did people actually think of the ad? Well, do you like Imagine Dragons? If you don't, then you won't, since the ad is pretty much just Imagine Dragons. The ad features a guy waking up (“first things first”) to turn on his Nintendo Switch to play The Legend of Zelda: Breath of the Wild. I can kind of relate to this, although I wake up to turn on Miiverse, which will be discontinued on the Nintendo Switch. Actually playing a game? Too much energy involved. Then the guy is trying to make breakfast while playing with the Nintendo Switch with one hand. Since this isn't Super Mario Run, he abandons breakfast and uses both hands. He then becomes a BELIEVER as he uses the Nintendo Switch with his television screen. The message is that cleanly-shaven young adult nerds are within Nintendo's target audience, instead of the young children and their parents you saw in Nintendo ads for the past several years for previous systems. Super Bowl ads aren't consumed in a vacuum. They are consumed alongside dozens of other ads. Unfortunately for Nintendo, no one liked their ad compared to other ads. The staff at Thrillist ranked the Nintendo Switch ad in 48th place, of 50. It's not even on the list to be voted on at the poll at Today.com, or on YouTube's Ad Blitz. Gaming? No. 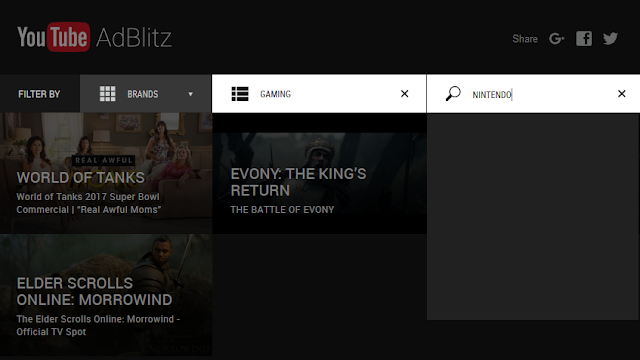 Querying “Nintendo”, “Switch”, or “Zelda”? No. It was so bad, it doesn't even show up. USA Today's Ad Meter, the foremost tracker of public opinion on Super Bowl ads, has the Nintendo Switch ad ranked 56th place out of 66 commercials, with an average rating of 4.86 out of 10. That's terrible. I mean, doesn't everyone love the Mr. Clean Jingle? So while Mr. Clean got accolades for being a great ad, the Audi ad got... very divisive results. Many women loved it, while men rated it less favourably. The reason is because it perpetuates the gender wage gap myth, which is a total falsehood and a lie that is used to promote female victim culture. People also don't like political stuff going into their Super Bowl experience, and people were purposefully comparing the Patriots to Trump and the Falcons to Hillary just to trigger other people. Not only is it political, but it's also total lies on Audi's part. People don't like being lied to. ...And no, marketing isn't just a field all about lying. Still, being divisive is a good way of being talked about, so in that respect, Audi succeeded. They're certainly getting more attention than Nintendo. Anyway... sports. As a site, we briefly mentioned in one of those EA E3 reaction logs that the Patriots are cheaters. And they are. They're super-human. It's scary. You want me to believe that actually happened? No way. It's the Patriots. It must've been RIGGED. That's just what they do. For the first time in Super Bowl history, the game also went into Overtime mode. Overtime is ended upon the first scoring point. That means whoever starts with the ball has the advantage. Who started? The Patriots. They won by a winning coin flip. Knowing the Patriots, perhaps they slipped in a weighted coin to the referee's hand? The Patriots representative at the coin-tossing was very, very quick to call HEADS. Most people thought the New England Patriots would win, but most people wanted the Atlanta Falcons to win. Source: GameFAQs Poll of the Day 6598. The people thought the Patriots would somehow get away with winning the Super Bowl yet again, for the fifth time since 2001. Almost no one thought that the Falcons would win but hoped the Patriots would. At one point in the game, there was a 99.6% chance that the Falcons would win. By a combination of the Patriots RIGGING it, and the Falcons being the biggest choke artists since Mitt Romney, the statisticians screwed it up. ...Again. I do totally believe this, however — the guys who calculate the buzz and rankings for the Super Bowl ads got it right: That Nintendo ad was underwhelming and probably a waste of money. Nintendo is going to have to sell thousands of Nintendo Switches (and add-on accessories and games) to recoup the cost of having a Super Bowl commercial, not to mention however much it cost to actually produce the commercial and license the music from Imagine Dragons. They certainly will recoup the cost based on how many pre-orders the Switch has (regardless of the commercial), but it'll never be known if the Super Bowl ad will drive in more revenue than the total cost of it. Anyway, YOU are free and welcome to talk about your favourite Super Bowl ads, or if the Nintendo ad was your favourite. The Nintendo Switch has released, and it's basically sold out everywhere. No thanks to this commercial. Yeah, Nintendo's ad was quite straightforward. And a direct, clear, ad for a video game system, unfortunately, doesn't quite do that. These days, even with the Xbox and PlayStation, and all these new VR headsets people act excited about, it's 'cause its "cool new tech" that shows how advanced and sophisticated and affluent the purchaser is. I don't know, it seem's like Nintendo's core message of "playing video games to have fun" isn't resonating with the current market that well. Even with the Switch's focus on young adult actors in advertising, I am highly doubtful that the current trajectory of the Switch will lead it anywhere near Mr. Kimishima's outrageous predictions for it to approach the Wii's sale numbers. ...Yeah, everything in this comment is spot-on. Since you mentioned it and I haven't, I find the idea the Switch will sell 100 million units is laughable. My favorite ad was probably the Budweiser commercial. As for the Switch ad, different analysts rank it as either a hit or miss. According to Ace Metrix, the Switch ad ranked "the fourth best advertisement of the night based on “Attention, Likeability, Information, Change, Relevance, Desire and Watchability.”"
"In fact, viewers ranked “Daughter” as one of the best-liked and least polarizing ads of this year’s game." I'm not sure how credible we can take this. Daughter is the only video there with more Dislikes than Likes. Even 84 Lumber does better than that standard. Eh, they have that kind of money. If they can afford a theme park of at Universal's, what's wrong with affording a thirty-second advertisement? As a fellow Atlantian and Nintendo fan, I'm pretty much torn apart. They do have that kinda money, but at least spend it wisely. They had to sell a lot of Wii Us to get to 5 million dollars! I wonder wot else Nintendo is gonna SWITCH.